A vision of Australian design, lush interiors and a streamlined décor create an impact when entering your new apartment in Luxe on Eve. The creative interior design of Luxe emphasises high ceilings, airy interiors, and harnesses the stunning impact of natural light. Luxe on Eve has a range of properties to suit the needs of each individual buyer, with studio, one, two, and three bedroom apartments available. Each apartment is unique in its layout configuration, enabling buyers to select the space that best speaks to them and their needs. For those who seek unfettered access to Sydney, Erskineville is your property. 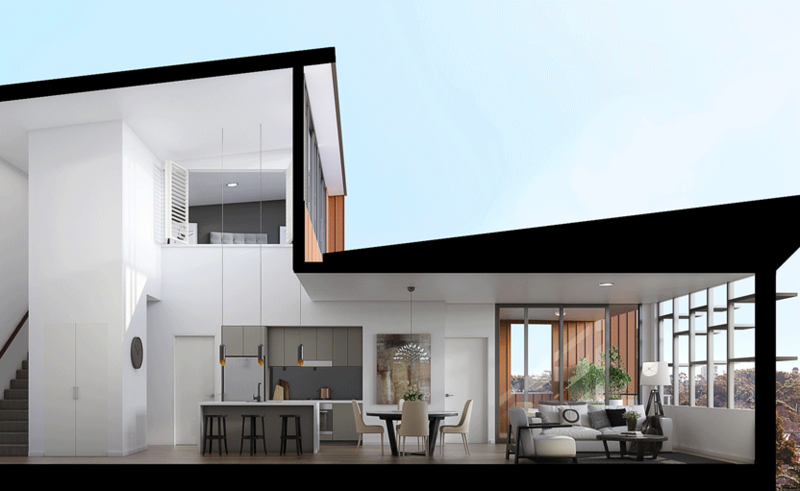 Practically, Luxe on Eve is walking distance from two train stations, and the local shopping village of Erskineville. Socially, new homeowners can enjoy a stroll to the buzzing social and cultural centre of Newtown. Professionally, enjoy direct access to the prestigious Sydney University, University of Technology Sydney, and the Sydney CBD.